Maintenance Manager - kern county, ca. A giant in the Petroleum Industry located in Kern County, CA., has retained our services in search of a Maintenance Manager. Directs and manages the maintenance of the Plant facility and Mine operation to provide a functioning and safe working environment. Manages the maintenance labor and mechanical resources to sustain equipment needed for the manufacturing and mining processes. Develop and execute strategies that support the plant goals of safety, quality and mechanical equipment. Develop and administer preventative maintenance measures. Fully responsible for the Maintenance Department budgeting, including reports, analysis, and forecasts. Minimum 5-years’ experience in maintenance planning, analysis, forecasting, administration and documentation; experience in work order management, parts management, preventative, predictive, and condition-based maintenance technologies. Experience in maintenance management, maintenance engineering or maintenance reliability. Experience and demonstrated ability to implement and manage lean maintenance process. CMMS experience preferred. Project management skills and tools and familiarity with FMEA and root-cause analysis preferred. Knowledge of control systems and electronics, from a maintenance perspective, is desired. Strong understanding of internal controls and demonstrated investigative and analytical skills. Utilize, excellent, communication skills to express oneself clearly and concisely, both orally and in writing. Proficient in MS Office software and ability to quickly learn the maintenance systems. Trains and/or advises staff on OSHA and other safety and hazardous materials regulations. Administer the safety methods and technology, under MSHA and CALOSHA. 4-year technical degree or related field, mechanical engineering preferred. Business Developer - Bay area, ca. The global leader in design, manufacturing and sales of connected digital photo frames is in search of a Business Developer in the San Francisco Bay Area. The company has harnessed the best in cloud storage, service technology and security to display photos in a sophisticated way that shows the power of sharing memories. This is a great chance to utilize your experience in a company that R&Ds complete end-to- end solutions, from mobile apps to hardware, with large scale web applications and back-end services to support company products. Bachelor’s in business, economics, marketing or related field. At least 5 years in Business Development with proven success stories. Good understanding of Consumer Electronics and Digital Signage industry. You'll have done a lot of research on this by the time your interview. Analytical and able to drive analysis based on facts and performance data to deliver improvements. Microsoft Excel and Powerpoint proficiency in required. Experience in compiling business development reports and analysing trends. Strong presentation and interpersonal skills – proven ability to build and expand relationships (internal / external). Articulate writing skills. Directly report to the CEO based in SF Bay Area, but work and co-ordinate closely with all departments across the Company. Key area of work will be developing the business plans, meeting with partner firms and owning partner projects. Lots of research, which includes outcomes such as detailed Powerpoint presentations and/or spreadsheets. Prepare sales and competitive analysis and report to senior management. Competitive medical,dental and vision benefits. Learning and massive growth opportunities. An amazing mission for a powerful global product that is fast-growing and widely regarded. A manufacturer of high quality repair parts for diesel & natural gas engines, with over 60 years of experience in engineering & manufacturing, has retained the services of BusinesStaff in search of a Director of Operations in Torrance, CA. Develop, recommend, and execute long and short-range planning, policies, programs and objectives to deliver results. Lead efforts to develop, implement, and maintain a Warehouse Management System (WMS). Develop and recommend a budget to support of all resource Assist to develop and execute a competitive global warehousing, assembly, manufacturing, and distribution strategy with a logistics plan and procedures to ensure quality parts are delivered to the customer in a cost-effective manner. Lead requirements including capital expenditures, manpower, facility and machine requirements. Manage costs to approved budget. Develop, recommend, and execute a manpower plan to recruit, train, coach and evaluate staff. Ensure all established processes are followed (e.g. hiring, training, performance management, etc.). Develop and implement a plan for facility layout to drive LEAN product flow. Lead the management & control of inventory levels by conducting physical counts and reconciling with data storage system. Understand and comply with international, federal, state, and local warehousing, material handling, and shipping requirements by studying existing and new legislation; be the subject matter expert on domestic and international freight & logistics. Establish, implement and monitor KPIs for safety, service level, quality, cost, and productivity. Assist in Company’s effort to maintain ISO certification, ensuring all SOPs are in place and are followed. Bachelor degree or equivalent work experience. Technical degree an asset. Minimum 8 years of experience in a manufacturing management role, preferably in a process-oriented operation and/or related industry. Demonstrated experience working with facilities overseas. Demonstrated experience developing and implementing Warehouse Management Systems (WMS). Salary of $100,000 to $140,000 (DOE) with industry leading benefits package offered . An L.A. based Financial Services company is in search of a Director of Strategic Sourcing to join its rapidly expanding Team applying its unique credit-decisioning technology platform — based on data science and machine learning — to help lenders effectively predict credit risk so they can increase revenues, reduce risk and ensure compliance. You will manage negotiation issues to closure, drive internal consensus on key client issues related to pricing, business and legal terms and conditions, and product customization as required to close the client opportunity. You will also partner with the Legal team to develop and prepare contract documentation for pricing and business contractual terms and conditions for new client contracts, contract renewals and amendment of existing client contracts. Project management skills, which will be leveraged for contract/negotiation deal execution. Quality Assurance Engineer - Murrieta, CA. We have been retained by a fast paced, technology driven company in Murrieta, CA. in search of a Quality Assurance Engineer. · Develops and maintains Inspection and Test Procedures, Visual Aids, and Engineering Specifications to assure product meets functional specifications and quality standards. · Leads the review of activities associated with discrepant components, sub-assemblies and finished products. · Supports new product development and implementation via development of an overall quality plan, including needed inspection, test, and work procedures; identification and procurement of needed gauges, equipment, etc. ; FMEA; and support of process/product validation. · Leads and administers corrective action activities. · Leads and administers program for the control of inspection, measuring, and test equipment. · Leads and administers Internal Audit program for compliance to ISO 9001, ISO 14001 and BS OHSAS 18001. · Ensures that quality reporting (e.g. in-process quality trends, corrective action activity, etc.) is maintained and documented. · Assists Quality Circle Team activity to facilitate continuous improvement. · Provides support and resolving problems as they occur in the production environment. · Assists in designing and preparing concept drawings of new fixtures, tooling, presses and equipment for new and existing products and processes. · Project Manager for new product and process development, interact/ coordinate with other departments. · Supports Quality Inspectors and production department with training, troubleshooting production and quality issues and maintains conformance with ISO9001, ISO14001, and BS OHSAS 18001 standards. · Participates in Kaizen activities with Quality Inspectors and Manufacturing Engineers for improvement by reflecting on past performance and future direction through the process of P.D.C.A. · Orders supplies and equipment, as needed, to support manufacturing operations. Computer Skills: Proficient at an intermediate level in the use of Microsoft Office Suite (Excel, Word, Access, and PowerPoint). Working knowledge with email software (e.g. Lotus Notes database application) preferred and other proprietary company software. Working knowledge of inventory tracking software (e.g. AS400/BPCS). Salary of $85,000 to $100,000 (DOE), A more detailed job description and an exceptional benefits package will be discussed. Local attractions include: Murrieta Hot Springs, Cleveland National Forrest, Lake Elsinore, Wineries and Casinos. Instrumentation Technician - Inland Empire, CA. Our client is one of the largest global automotive suppliers of advanced technology, systems and components, heading toward an automotive society where cars put less drag on the environment and drivers have fewer worries about traffic accidents! 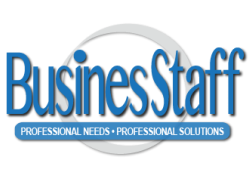 We at Businesstaff have been retained by a fast paced, technology driven company in Murrieta, CA. in search of a Instrumentation Technician. Summary: The Instrumentation Technician will be a key contributor in validation engineering team with the responsibility to assist the validation engineer and technician in developing new (electrical and mechanical) concept test bench designs for alternator and starter products. Assemble Electrical (PLC) and Mechanical components according to engineering instruction, technical manuals, and knowledge of electronic systems and components and their functions. Work alongside engineers and technicians in the integration, development, and debugging of electrical and mechanical components that construct the test equipment systems. Adjust, calibrate, and align electrical and mechanical components and records effects on unit performance. Provide technical support in developing and improving testing processes. Associate Degree or 2+ years' experience in related field/environment or certification from a trade school. Previous automotive experience is highly preferred. Microsoft Office, Microsoft Word, and Excel experience. AutoCAD experience preferred. Knowledge on PLC schematics and programming, as well as power/ control panels assembly. Knowledge on mechanical drawing and assembly. Hands-on experience with both electrical PLC and mechanical components assembly. Automotive, and/or off-highway vehicle part, or component company experience is a plus. Pay rate is $25/HR. A more detailed job description and an exceptional benefits package will be discussed. Director of Marketing - Walnut Creek, CA. Seeking a Marketing Manager/Director for a fast growing technology company with a state of the art SaaS solution to the health care industry. Our client is pioneering the way health care is accessed and obtained nationwide based on individual needs. If you are an innovative marketing and public relations professional with a drive to development and execute marketing and PR strategies, we want you! Manage all aspects of B2B marketing initiatives. Create a scalable marketing plan that streamlines growth while driving revenue and brand awareness. Develop and manage the creation and distribution of press releases, pitches, fact sheets, testimonials, articles, and speaking abstracts. Experience working with the healthcare industry is a plus. Salary of $70,000 to $90,000 with exceptional benefits offered. An urban oasis surrounded by unspoiled hillsides, Walnut Creek is embraced for its mild Mediterranean climate and picture perfect setting at the foot of Mount Diablo. The global leader in design, manufacturing and sales of connected digital photo frames is in search of an Executive Assistant in the San Francisco Bay Area. You will be working from the Company office in Sunnyvale and your home office. • Office management: You will be responsible for maintaining our serviced office, overseeing meetings, shipping/receiving, and everything needed to keep the operation moving. In the near future, we will also be moving from a serviced office to a bigger office within the same area, and you will be primarily responsible for ensuring its research, handling and operational success. • General administration: You will assist with various tasks such as travel arrangement, appointment setting, filing, ordering, data entry and everything needed to help our operation run smoothly. • Book-keeping: You will be processing accounts payable and receivables, preparing bank deposits and reconciliations, administering general ledger coding, check figures, postings, and documents for correct entry, and mathematical accuracy. • You will enjoy great teamwork, have lots of fun, and take pride in building a world-class product that makes a difference in people's lives. • Ambitious, hard working, execution-oriented, eager to get results and succeed. • 2-5 years of Bookkeeping experience. • Tech-savvy - being able to grasp, operate and master computer systems and tech jargon. • Excellent communication - oral and written. • Great time management and organizational skills. Stock options. Competitive medical,dental and vision benefits. The AM position is directly accountable for business KPIs on the deployment and performance, as well as for ensuring successful growth and retention of assigned customer base. This position also assists executives on the client-side to define organizational goals and strategic plans. Responsible for overall management and growth of a portfolio of 1-5 assigned clients by promoting and selling Company's solutions and services. Production Supervisor - Southern Cal. We at Businesstaff have been retained by a fast paced, technology driven company in Murrieta, CA. in search of a Production Supervisor. Works in a fast-paced assembly line to plan for daily operations, provides supervision to assigned associates, and interacts with other departments to develop and maintain process controls and for smooth operation of the lines. Gains understanding of Company’s ISO9001, ISO14001, and BS OHSAS 18001. Applies hands-on practices, complies with work procedures and all quality standards as incorporated in Denso’s Business Policy for the remanufacturing of alternators and starters. Primary assignment establishes responsibility for the teardown or dis-assembly of starters and alternators to specific standards; however, serving in the capacity of supervision requires the ability/flexibility to be cross trained in other areas to establish a cross-functional team and back up coverage as in familiarity with the process of rebuilding fuel injectors to specific standards. Gains understanding of Company’s remanufacturing processes for the teardown of Alternators and Starters. Directly provides direct supervision for up to 28 associates working on assigned line(s). Executes supervisorial duties in accordance with Company’s policies, procedures and maintains compliance with applicable laws. Organize and schedules production of starters and Alternators based on predefined production schedule. Completes production plan by scheduling and assigning work, establishes priorities, monitors progress, resolves problems, and reports results of process flows on shift. Plans for daily production capacity based on equipment and organize manpower accordingly. Coordinates and establishes frequent communication with other departments, i.e. Assembly Lines, Production Control and Quality Assurance Departments to review criteria and to verify that units satisfy customer standards. Use of various test benches, electrical testing equipment, measuring tools, i.e. calipers, micrometers, digital indicators and multi-meters. Facilitates Kaizen projects to implement positive changes related to quality, safety, to achieve better and effective work flow and more ergonomic work environment. Computer Skills: Proficient at an intermediate level in the use of Microsoft Office Suite (Excel, Word, and PowerPoint). Working knowledge with email software (e.g. Lotus Notes) preferred and other proprietary company software. Working knowledge of databases (e.g. Training Manager, AS400/BPCS). Salary of $65,000 to $70,000. A more detailed job description and an exceptional benefits package will be discussed. as a Marketing Communications Manager. For over 50 years this company has been providing its customers with outstanding products and services in industrial technology that reflect the company's commitment to operational excellence, innovation and market leadership. Marketing strategies and tactics will be focused on increasing brand awareness, globalization and vertical market segmentation. The Marketing Manager will be responsible for key brands and communication strategies within a select vertical market along with responsibility for the creation and development of marketing collateral that is in alignment with our commercial strategies. This position will assist with Voice of Customer (VOC), marketing analytics and market intelligence. This role will engage with multiple facilities and disciplines such as product management, Engineering, Sales and Business Development. .
Design, implement, and executes internal and external marketing communications plan. Strong team player, work ethic, passionate and a commitment to win. Our Client, a digital media publishing company with several high end online magazines is in search of a Sr. DevOps Engineer in North County San Diego. You will report directly to the Chief Product officer and work closely with the Tech lead, Data architect, Fellow Developers & Engineers to create elegant yet simple solutions. Your work will impact millions of users every month! ● Monitoring, Alerting & Anomaly detection systems. ● Provide high availability, high volume, low latency website & ad serving infrastructure. ● Design, write and deliver software to improve reliability, availability, scalability, latency, and efficiency. ● Automated builds and deployments. ● Lead CI/CD adoption & version control. ● Automated testing framework development. ● Origin tech stack optimization (nginx, php7, varnish, redis, etc). ● CDN integration and optimization (VCL/Varnish). ● Autoscaling and LB optimization. ● Container development and management. ● 5+ years working with high-scale web-based systems. ● Excellent​ knowledge of at least one programming or scripting language. ● Deep understanding of Cloud (Google or AWS), Web servers (Nginx/Apache), networking, DNS, CDNs, and other modern infrastructures. ● Comfortable with a fast paced startup environment and tight deadlines. ● Experience with log management / parsing tools. ● Experience with CI/CD tools. ● Experience with Big Data. Salary for this position is $130,000 with exceptional benefits.